Videos had to have an ocean theme and relay a message about the ocean. 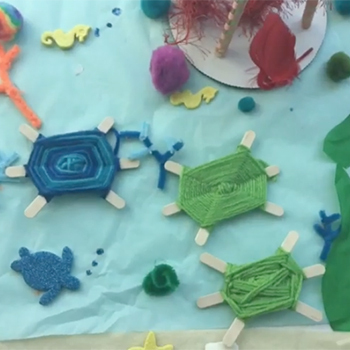 Many campers chose to focus on a topic that we covered in our 2017 Ocean Discovery Camp. Ocean Discovery campers designed & built their own ROVs! Check them out! 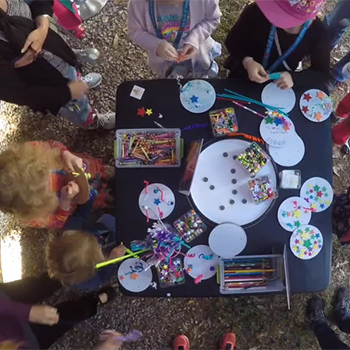 Get a birds eye view of our "build a deepwater coral" craft station that we have at our Ocean Discovery Zone booth! This craft is a big hit with kids of all ages! 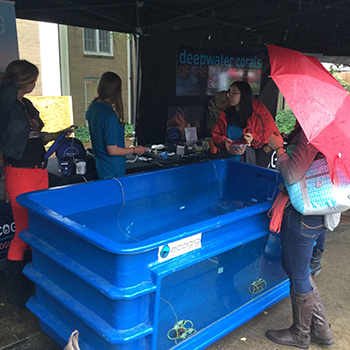 ECOGIG brought Science at the Stadium to Florida State's annual homecoming game tailgate on Langford Green! ECOGIG outreach staff brought the Ocean Discovery Zone to Lamont Doherty's Open House on October 8th- visitors learned about our investigations into the effects of the 2010 Deepwater Horizon oil spill on the unique deep water ecosystem of the Gulf of Mexico, drove a model remotely operated vehicle (ROV), built a deep water coral, and learned about the importance of healthy ocean ecosystems! 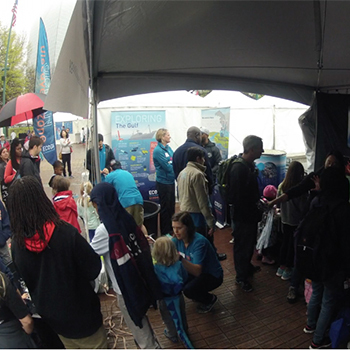 The Ocean Discovery Zone went o State College, PA to Penn State's Fan Fest on September 3rd, 2016. 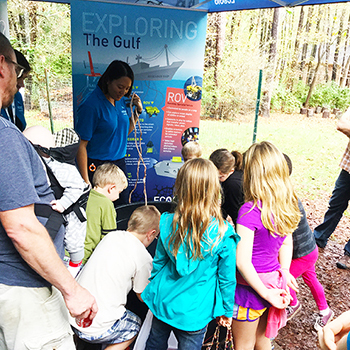 Visitors to the booth learned about deep sea exploration and research. 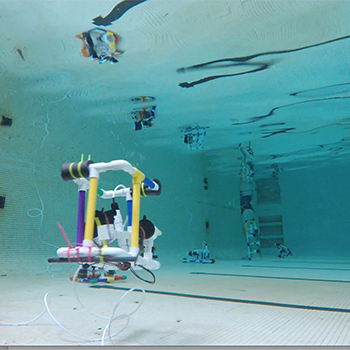 They got to drive model ROVs (remotely operated vehicles) and build models of deepwater corals. We had a lot of fun sharing how and why scientists explore the deep sea with 1st and 2nd graders last week! 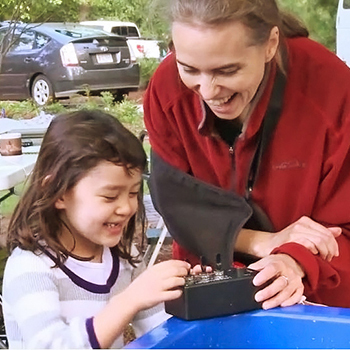 We brought model versions of ROVs (Remotely Operated Vehicles) for the kids to play with and they had so much fun! 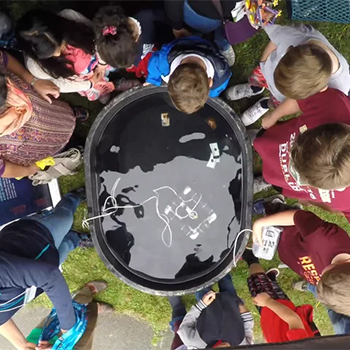 We stuck a GoPRO into one tank and captured this fun timelapse of the kids driving the ROVs! 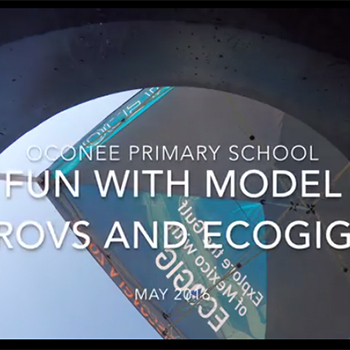 ECOGIG brought our Ocean Discovery Zone to the 2016 Atlanta Science Festival! 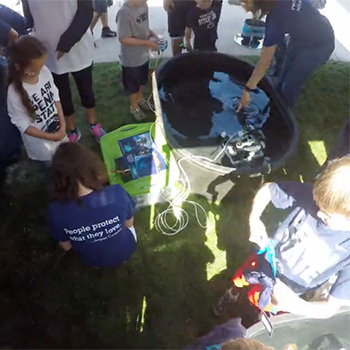 The Ocean Discovery Zone visited the Athens Montessori School's fall festival! 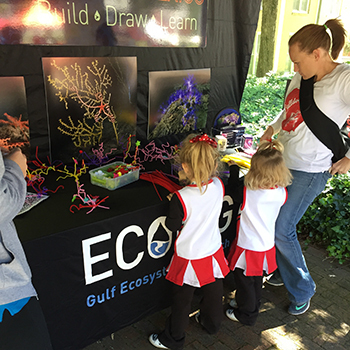 We had a great time at the Ocean Discovery Zone before the UGA vs Missouri game!! 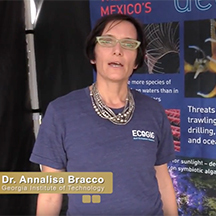 Watch as people explore the Gulf of Mexico at ECOGIG's Ocean Discovery Zone! 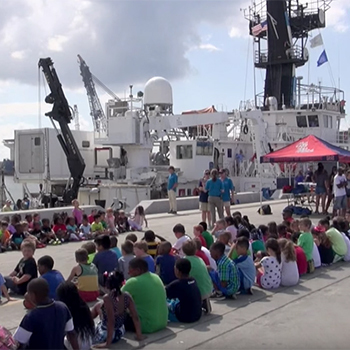 ECOGIG Project Director Dr. Samantha Joye (UGA) held an interactive marine science workshop for elementary school children on “World Oceans Day,” June 8, 2015 in Gulfport, MS. Video courtesy of Dispatches from the Gulf, Screenscope Films. Science at the Stadium 2014 launch! 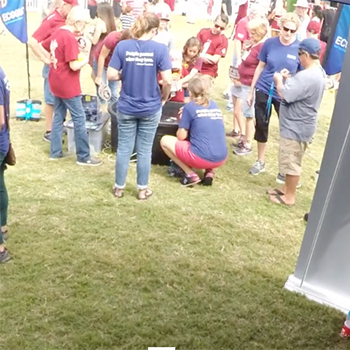 Watch the 2014 launch of the new ECOGIG public outreach series "Science at the Stadium", designed to educate fans attending home football games about oceanography and the Gulf of Mexico ecosystem. 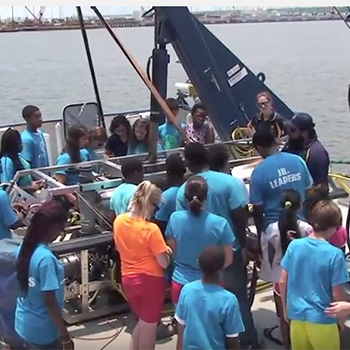 As the E/V Nautilus prepared to launch ECOGIG's corals research cruise in 2013, nearly 200-members of the Boys and Girls Clubs walked on deck to see how the remotely operated vehicles are used for deep sea research. Video courtesy of Gary Finch Productions.